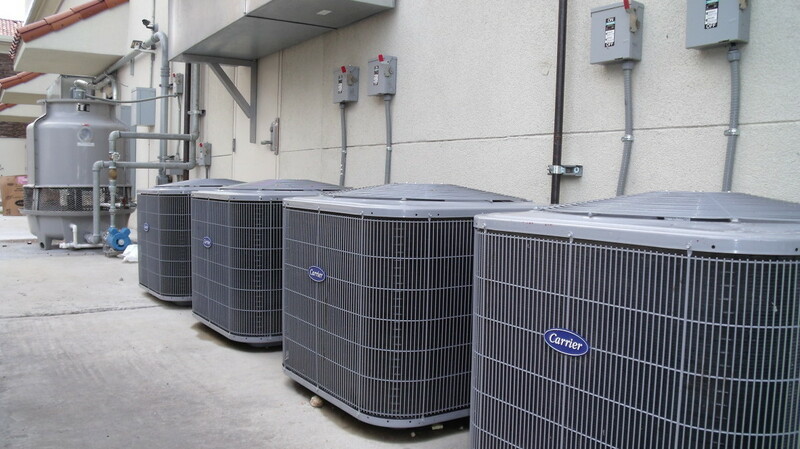 Setting up a high-efficiency commercial air conditioning unit in your Queen Creek Arizona area business is able to lower energy costs up to 60%. This directly will reflect on your energy bills and is a great way to reinvest your money into your business. While deciding on the best air conditioning system for your business can be tough, all you need to do is call RJH Mechanical for a free quote. We will send out one of our commercial HVAC technicials to consult with you on the many different options. We’re here to answer your questions and address any concerns you have when looking into installing a new commercial air conditioning unit. RJH Mechanical has become recognized for over 30 years as an authorized air conditioning and heating service provider. We can install all major brands of commercial and industrial heating, ventilation, air-conditioning, and climate control systems. We take pride in our customer-service-first commitment. When it comes to keeping your commercial facility comfortable, RJH Mechanical is capable of handling all your commercial heating, ventilation, and air-conditioning needs. Our qualified professionals are trained in every aspect of heating and cooling service, repair, maintenance and installation.